I recently entered a new relationship with an Irish guy. I was lead to believe his name was Paul Wesley Kenneth Kinahan who ran a finance company in Glasgow. However, this is not the case after scamming me of £200 for a train ticket to go collect his son. Since then I have discovered he also uses the alias Wesley O’Brien and his real name is Wesley Brennan. His stories can be Googled! 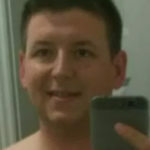 He’s a serial conman who has scammed over 40 girls from Ireland and is now targeting girls in Glasgow. 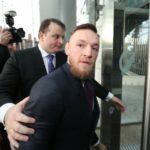 He’s leading people to believe that he grew up with Conor McGregor having proof to back up his allegations. It’s believable, however, it’s all fake. He’s even going to the extent of booking holidays for these girls myself included. I have had a very lucky escape. The only thing the guy got from me was £200. However, it’s believed he has conned people for thousands. He has been using the dating website Plenty Of Fish where he’s picking his victims. 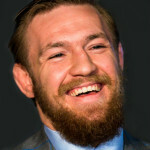 According to Clark County, Nevada, civil court records, McGregor has filed a petition for judicial review of his $150,000 fine for the water bottle fight with Nate Diaz before UFC 202. The suit names NSAC Executive Director Bennett and the NSAC as respondents. 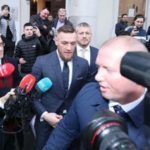 A hearing date has yet to be scheduled and there is no further comment from McGregor or Bennett.